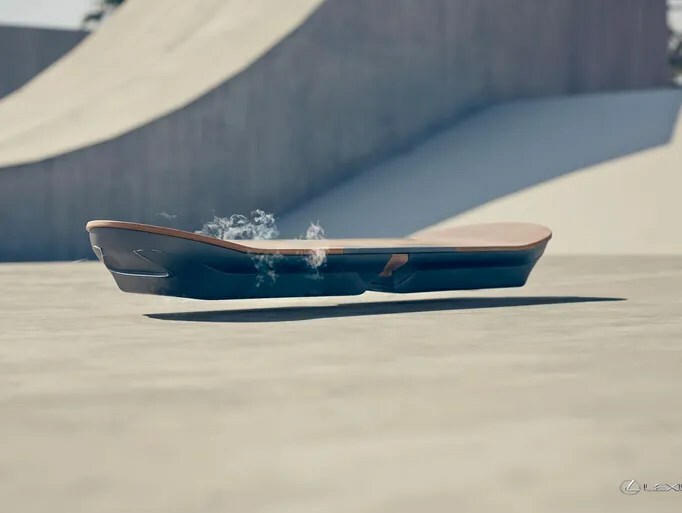 Lexus realized a promo vid showing a seriously cool hoverboard. Unfortunately, this board only works in a “controlled” environment, meaning it needs some magnets in the ground. But hey, a magnetized skate park with one of these would be worth some money if anyone wants to get designing. Along with the hoverboard, they have some interesting conceptual links down at the bottom of their page. Also worth a look, if you like futuristic tech. Check out their preview- well worth the few minutes. I was hoping the smoke was for effect. I’m curious what the liquid nitrogen consumption rate is for this. No idea, they didn’t say. If you find out, holler and it’ll be updated on the post.